Punjab National Bank Notification 2019.Punjab National Bank, PNB has released a notification for the recruitment of Manager/Senior Manager/Officer vacancies.Check the eligiblity and notification prior to apply for the positions. As per the rules of PNB Recruitment Board, interested candidates can complete CA/ICWA/MBA/General Degree/ LAW Degree/ MCA/ B.Tech(ECE, CSE, IT) from any recognized university or board. Age limit deffer from post to post. check below to know age limit details of Punjab National Bank Manager Recruitment 2019. Eligible and applied candidates will be selected through the selection criteria set by the PNB Officials. Aspirants who are intended to apply for Punjab National Bank jobs 2019, should submit application form as early as possible. Please read detailed advertisement clearly before going to fill application. We listed useful inks to apply for PNB Jobs 2019 below. 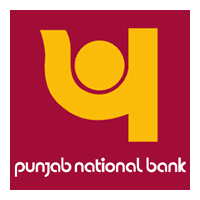 Find Punjab National bank online link and apply as soon as possible.